This double show was presented as a single project housed in two different locations not deputies to contemporary art, specifically chosen for their evocative dimension. 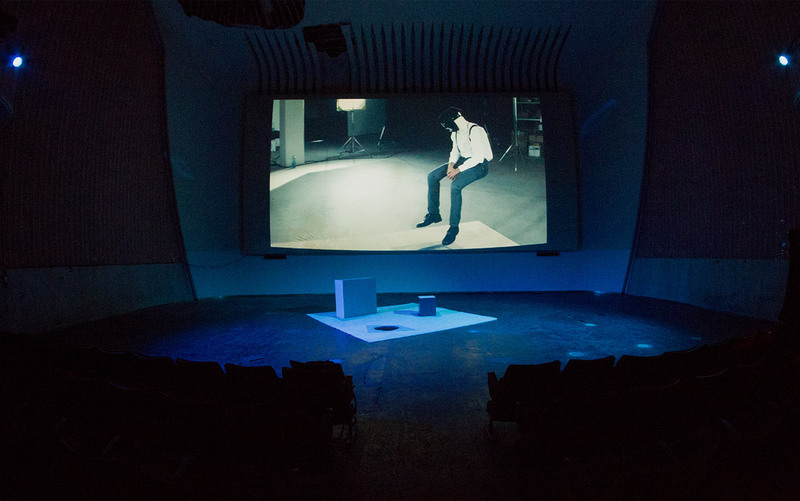 The Cinema America in via Natale del Grande in Rome has hosted the video installation '1+1=1' while a space on the street, usually managed as a painting laboratory in Via del Governo Vecchio, hosted the installation 'Hungry Ghost'. Questo doppio evento è stato presentato come un unico progetto ospitato in due luoghi distinti non deputati all'arte contemporanea, appositamente scelti per la loro dimensione evocativa. 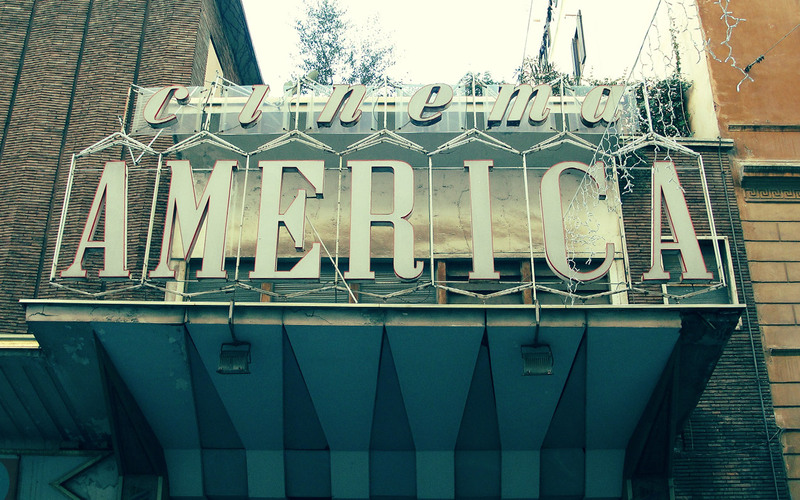 Il Cinema America in via Natale del Grande a Roma ha ospitato la video installazione “1+1=1“, mentre uno spazio su strada, gestito abitualmente come un laboratorio di pittura in Via del Governo Vecchio, ha ospitato l'installazione “Hungry Ghost“. Via Natale del Grande, 6 - Roma. Via del Governo vecchio, 36 - Roma. Gregorio Samsa has been pushing art buttons for a while now in order to compose an aesthetic journey aimed at displaying and rediscovering the authentic content of a duplicate. Real / Virtual is the title of a double exposition (organized in Turin in 2011 for the Artissima Contemporary Art Fair) of a drawing that disconnects between real and that which isn’t real. Its evolution represents an imaginative index in which the concepts of plurality (of being plural singles in the words of Jean-Luc Nancy), otherness, grammaticalization, the division or multiplication of oneself, the repositioning and skidding of communication, sharing, multiculturalism and an apparent authorial loss (or decline) rouse a reflection upon the passion to recover the bud of human creativity – to repeat art’s footprints twice in two different places and to impress an environmental bi-polarity upon the project in a kind of connecting dislocation that goes from the «real» to the «defining» or from the material to the spiritual. With this goal in mind, Gregorio Samsa has devised a pattern over the past three years that is entrusted to a mask, a symbol, a pretense and the confidential ceremony of the mirror to give rise to a series of duplications. Alberto Boatto suggests that «…Man is an imaginative animal that duplicates itself and processes doubles, whose invention and use of the mirror constitutes a sensitive manifestation on the level of utensil.» – useful for considering one’s body or ideas and identity as an object. It is also capable of generating flashes, appearances and epiphanies that are lost and consumed in extremely brief periods of time. Art exhibitions are presented like exemplary events, occasional performances or apparitions whose duration (1-3 days) is brought on in an illusory climate like a mirage that can only be reached by way of physical motion, the quest for places and a direct (or indirect) vision of things. 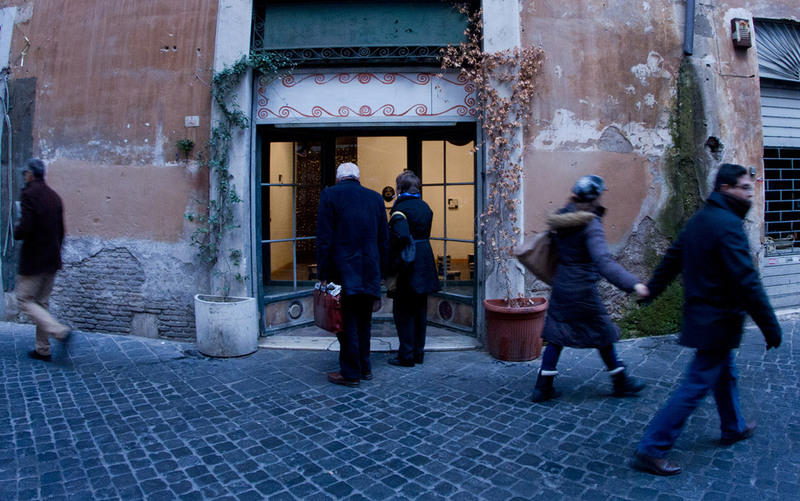 Hungry Ghost and 1+1=1 designed for Rome follow this meditative path to invite the spectator to participate in a new dual level that leaves space wide open to expand and broaden in two unassigned places. In two areas of the city which are transversal in comparison with the art circuit and central in comparison with the life of the community. «Eric» is yet again the bridge for Gregorio Samsa, the slow gangplank (Heidegger) that moulds a relationship between internal and external, the closed and open, indoors and outdoors or the artist’s idea and its coming into being. «Eric» is the idea coming into being – an oeuvre, an artistic entity, a creative product and an object that is embodied. It finds its own place in the area of life to manifest – through its corporality, the immaterial sphere of art: Gregorio Samsa’s thoughts. Hanging in the balance between the centralization of one’s ego and the obsessive multiplication of oneself (Lacan’s le petit autre or objet petit-a), Hungry Ghost is displayed in an area generally used as a painting workshop and exhibition space located on 37 Via del Governo Vecchio. 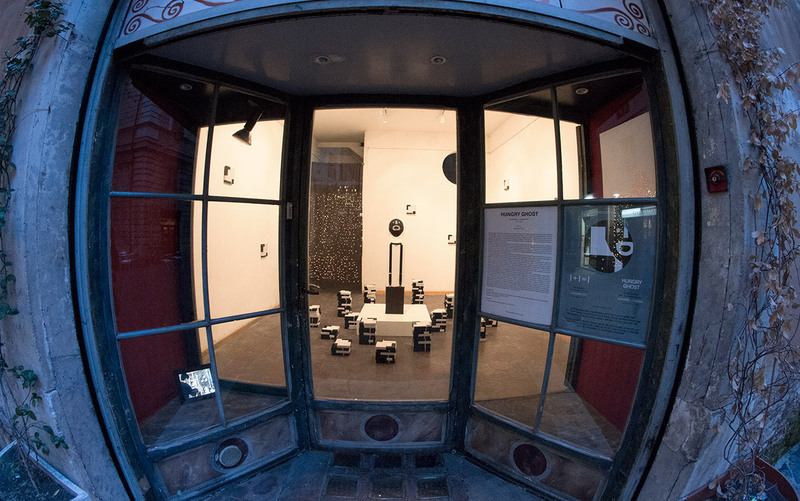 A temporary establishment (the exhibit lasts only three days) to present the «Eric» totem among 144 small canvases – or a «sample case» as Kafka would suggest – that symbolizes and transfigures the image of «Eric». Alongside this installation stands Il Sembiante (The Semblant), the title of an extremely banal video with deliberately low quality shooting. It shows the painter who was commissioned the 144 icons, a nameless Chinese painter who has no specific identity and is left in the shadows as he paints to manifest the aesthetic evolution – the creative experience in all of its technical flagrancy. Above all, Hungry Ghost offers an atmosphere that invites the spectator to reflect upon the concept of fruition to propose a discussion about the process of dramatization of individuals and society as well as today’s consumer display of the arts. Obstacle and barrier to the aesthetic setting is the glass sheet which forces the spectator to look inside, inciting him or her to abandon the jumble defining a full exploitation of bodies, brains and emotions. Organized in an old movie theatre no longer in use (the former Cinema America at 6 Via Natale del Grande), 1+1=1 – the second portion of the project marked by the brevity of a single day-, presents ulterior contemplation of the issue of consumer display, which this time sinks into the narcissism, alienation, dissociation and solitude of humanity today. In close dialogue with Hungry Ghost, 1+1=1 («the title refers to an aphorism by Tonino Guerra quoted in Tarkovsky’s film Nostalghia. Guerra wrote the screen play for the film») is a video in which «Eric» appears, interpreted by a performer whose poses express a temporal re-reading of the seven oil portraits exhibited in Turin at Real/Virtual. 1+1=1 is inserted within a large installation made up of a wool carpet with three holes – a circular one, a square-shaped one and a rectangular one – topped by two solid geometric forms and a black Plexiglas disk that discloses everything missing in the large projection mounted behind the installation. In this way, 1+1=1 puts the public before a total immersion into the spectacle of vanity through a staging which generates a metaphysical atmosphere (through both representation and performance since the installation even contains materials used to build the movie set) that urges one to ponder the appearance of things, shadows and the semblance of today’s narcissistic representations as well those hidden aspects of life and art.